FIN-tastic day out on the ocean today! We had an interesting Gray Whale today with some unusual markings! 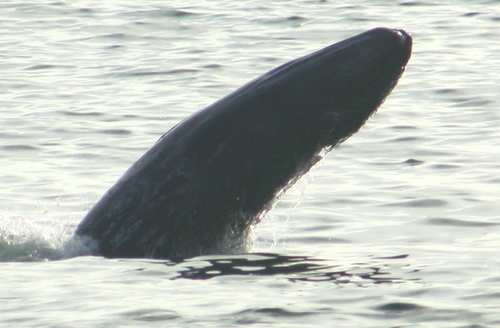 Another Gray Whale was in the area, snorkeling along the "whale highway". Northbound Grays are still migrating - when we were leaving to head home American Cetacean Society - Los Angeles Chapter (ACS/LA) let us know that a cow/calf pair was heading around the corner! 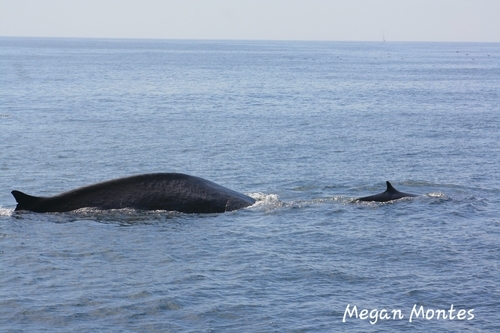 1 Fin Whale and about 200 Common Dolphin showed up on our whale watch trip this morning! Next trip is at 10am tomorrow!